BASELINE TEST: Totally stock 22,206 miles, 1.3 liter, automatic transmission. WITH OIL EXTREME: Totally stock 22,206 miles, 1.3 liter, automatic transmission. 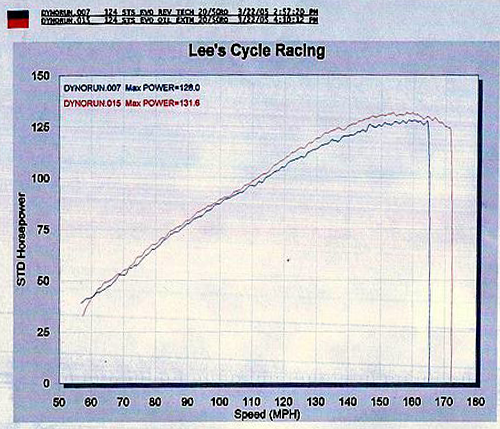 Yes, a whopping 7.6% horsepower INCREASE at the front wheels on K&N Engineering dyno this week. (Mfg. of the K&N air filter) 44.54 HP baseline, and 47.94 HP after OIL EXTREME. 12/21/98 ENGINE: 350 CHEVY HORSEPOWER INCREASE: 8.5 hp TORQUE INCREASE: 9.1 lb. ft.
Oil Extreme Concentrate was added to Mobil 1 in well known tech writer & engine builder David Vizard's 350 Chevy engine. An increase of 8.5 hp and 9.1 lb.ft. of torque was realized.